Supreme Syndications – Blueblood thoroughbred syndication in the Southern Highlands – Join the thrill and excitement of racehorse ownership. Our strict selection criteria has produced a 75% strike rate of winners to runners. A 3yo colt by CHOISIR won two provincial races in good style and promised to be a Saturday horse, until injuries commenced. Join in the thrill and excitement of racehorse ownership with Supreme Syndications – est. 2005 – offering you some of the best racing opportunities at affordable prices. On and off the track – Supreme Syndications offers a complete shareholder service – regular email updates allow owners to follow the progress of their horse until their racing dreams are realised. Plus our generous time payment interest free plan allows racing enthusiasts to become owners with minimum financial stress. You can rest assured that Supreme yearlings are hand-picked and are subjected to our strict and successful selection criteria. We boast an outstanding record of five individual winners from our first six horses to race. Racehorse ownership is not only for the rich and famous – Supreme Syndications’ shares are open to all enthusiasts with affordable shareholder options and no management fees. 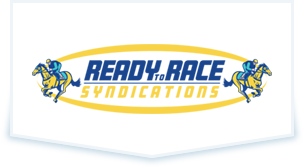 Supreme Syndications is proud to partner with Pride Racing, Ron Quinton, Gerald Ryan and Tony Gollan – four of the most prominent racehorse training establishments in Australia. Enjoying part of the action has never been easier – with quality horses and expert advice, even if you know little about horses, you are in winning hands with Frank Galluzzo. Frank has had the privilege of guiding numerous first-time investors into successful racehorse syndication. As a Supreme Syndications shareholder, you will enjoy owner privileges such as racebook inclusion, FREE course entry, Member’s Entry and your place in the owner’s circle. Ready to race? With an excellent track record and access to the world’s finest bloodstock, contact Supreme Syndications today to jumpstart your racing journey.